Director of First Impressions Volunteer: Wow. What a concise, succinct way to advertise for a front desk or receptionist volunteer. The ad then goes on to talk about how important it is for clients to experience a first impression that is compassionate and helpful. Gosh, I want to be that volunteer. Clearly, marketing has a tremendous impact on companies that sell goods and services. 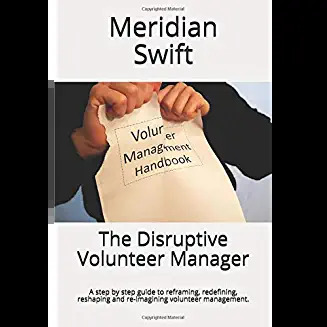 If we think of ourselves as selling goods (enhanced life experiences) and services (ways to help the community), then we can think of our potential volunteers as consumers who can pick and choose where they will spend their valuable time. So, how do we market to them? 1. Describe the benefit to the organization. 2. Describe the benefit to the client served. 3. 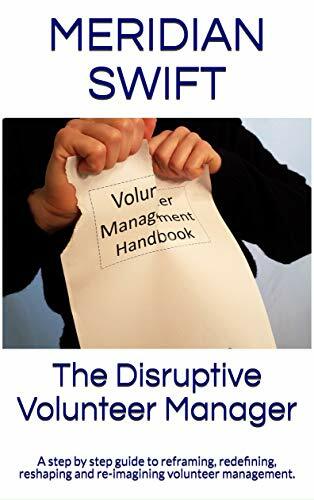 Describe the benefit for the volunteer. “Director of First Impressions:” The word ‘director’ exudes importance, and ‘first impressions’ neatly describes how this organization genuinely cares for their clients and is striving for excellence with every paid and/or volunteer position. “Imagine How Hard It Is To Need Our Help:” This immediately frames the position in the eyes of the client and elicits an empathetic feeling for those who are being served. “Where Else Can You Feel Like You Have Thrown Out a Lifeline:” This ad goes right to the heart of volunteerism-making a difference. And what law says we can’t use all three ads for one position at the same time? Who knows which approach will attract the kind of person you are looking for because ads exist to quickly capture attention. All three ring true; they are just different ways of framing meaningful volunteer roles in punchy descriptions. If you can combine all three ways without becoming too verbose, then by all means, give it a go. The Scavenger Captain: You’re roguish and free wheeling, this job is flexible. We won’t tie you down! The Robot Sidekick: You’re diplomatic and precise, this job needs your attention to detail. The Galaxy Princess: You’re strong and smart and destined to lead our rebellion against hunger. Refresh your ads frequently. Keep statistics on the more successful ads so that you can start to track what is working and for whom it is working. You can also put together a focus group of volunteers to come up with creative ads that they believe will appeal to their peers. Marketing students are also an excellent resource for help in crafting creative and appealing ads. Well, then, how can we jazz up that soul-sucking Data Entry Volunteer ad? (and you know what always surprised me, there are people who want to do this kind of volunteering because it’s sort of like washing dishes by hand, it gives them a chance to just quiet the mind).